River vs fish power – an ancient argument! 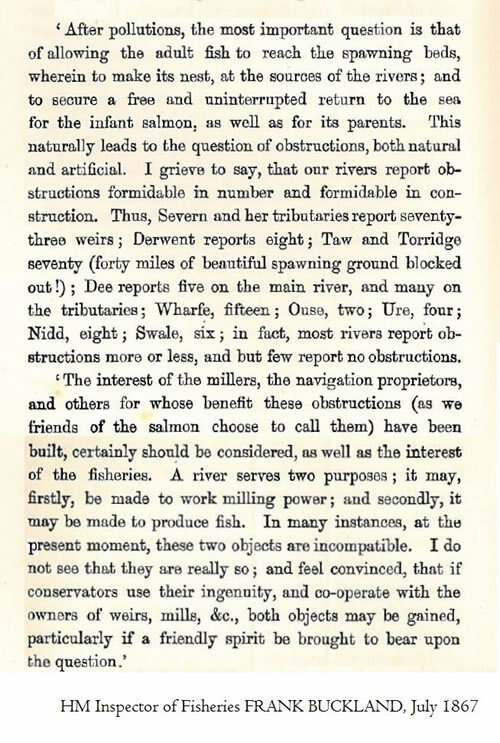 This document from the nineteenth century reveals that trade off between harnessing the power of Britain’s waterways and protecting fish stocks is far from a new argument. Thankfully the Archimedean Screw hydropower turbine that Mann Power specialises in means there no longer needs to be a trade-off. As our growing list of satisfied customers would attest to, the Screw technology is not only a highly efficient generator but is also proven to be fish-friendly. This has opened up many, many locations previously declined as viable hydropower generation sites. Mr Frank Buckland of HM Inspector of Fisheries back in 1867 would surely have approved.